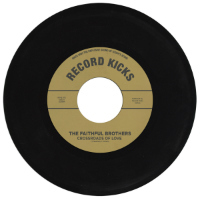 It’s not just Daytoner keeping the faith with neo-northern soul cuts this year it seems, for here is an offshoot project of Israeli soul boys Men Of North Country, The Faithful Brothers (a.k.a men of northern soul country – see what I did there? 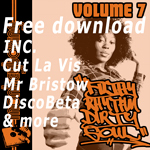 ), with a 45 in the classic mould – soul stormer on the one side, soul ballad on the flip. The soul stormer is titled Crossroads Of Love and finds Tel Aviv’s finest soul musicians deliver brand new retro dancefloor thrills with a beat augmented by sax and organ and vintage-style vocals. As with the very best retro soul, if you didn’t know it wasn’t old, you would think it was. Turn that bad boy over and One More Time provides torch song slowie thrills and more blue-eyed soul vox.